Typically cookbook reviews are of the latest editions, but this recommendation is for a cookbook that has been around for nearly twenty-five years. 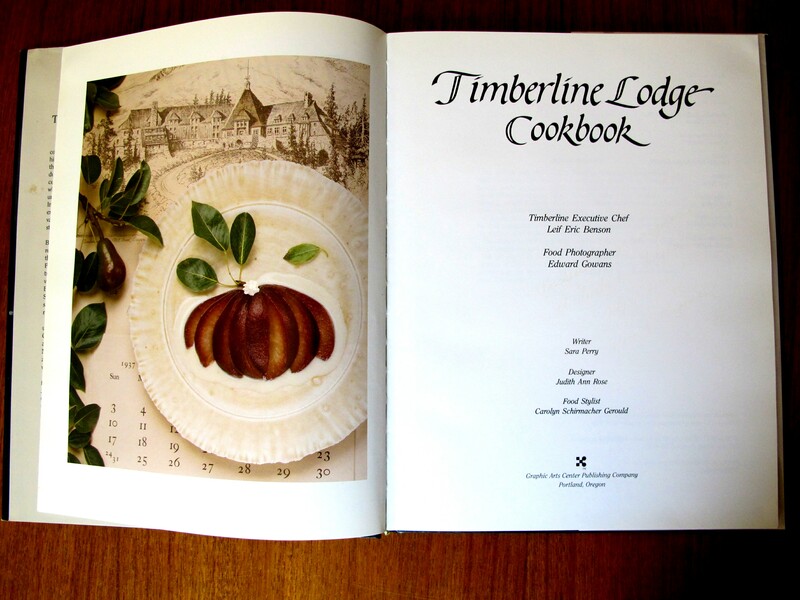 I purchased my copy of The Timberline Lodge Cookbook when we stayed at Timberline Lodge in July of 2000 just after we got married. We were driving from Utah back to Oregon and decided to stop at the lodge at the base of Mt. Hood for a night. That was nearly eleven years ago and I have enjoyed cooking from this book ever since. Incidentally, the chef for the cookbook is Swedish. Leif Eric Benson grew up in Gothenburg, Sweden and served as the hotel’s executive chef from 1979-2010. I have prepared 25 of the nearly sixty recipes with solid results and I’m still interested in cooking the remaining recipes I have yet to try. But with the piles of cookbooks, cooking magazines, and possible internet searches for recipes I’m not through the book yet. Some of my favorite recipes include the Alpenglow Berry Soup that is a refreshingly tart, buttermilk-based, chilled soup to pour over mountains of fresh berries in the summer, and the Sauvie Island Creamy Gazpacho that couldn’t be simpler to make and includes sour cream or plain yogurt for a twist on the traditional gazpacho. I have come back multiple times to the Pinot Noir Poached Pears with Creme Anglaise (pictured above) for a perfect finish for a special fall dinner, Medallions of Beef Oregon Blue with a simple yet elegant blue cheese sauce laden with cream and fresh herbs, and the gorgeous apricot glazed Walla Walla Sweet Onion & Ham Tart that tucks a mushroom and ham-filled custard under a blanket of sweet onions. From the particularly Swedish slant, there are recipes for Swedish Cream with Raspberry Sauce and a variation on the classic Swedish Wild Rose Hip Soup (nyponsoppa) that incorporates raspberries. One of the strengths of this cookbook is that the majority of the recipes are not overly complex and the directions are straightforward so the home cook can successfully recreate the dishes. Organized by season, it highlights Pacific Northwest ingredients that are not difficult to find in season in a regular grocery store. Because it was first published in 1988 the food styling is a bit dated, but the photography is well done with color photos of each of the nearly 60 main recipes and smaller photos that highlight the dramatically beautiful Pacific Northwest. 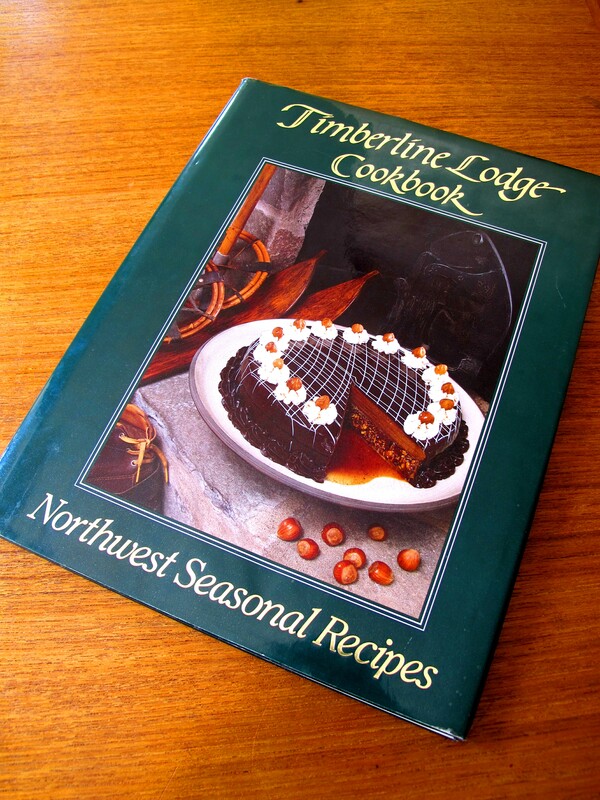 Many of the photos for the recipes include architectural or decorative elements of Timberline Lodge that you may recognize if you have been there. From a practical standpoint there are approximate preparation times for each recipe and there are often valuable cook’s tips and interesting ingredient information in the margins. I probably made my first trip to Timberline Lodge when I was seven years old and our family was on a one year sabbatical in Oregon for my dad’s work. I returned to Oregon on a regular basis after that sabbatical year and ended up living there for five years during graduate school at the University of Oregon. My connections to Oregon are still strong and I love having a reliable cookbook that captures the flavors of the Pacific Northwest with beautiful photographs I can peruse to remind me of how much I love and miss it there. Does your Timberline Cookbook have a recipe for their breakfast biscuits? I stopped there for a snack one day and ended up having these fabulous sweetish biscuits with fresh jams. I’ll never forget it and I want to be able to make them! Thanks. I’m afraid it doesn’t have that recipe. But thanks for reminding me about the cookbook. I haven’t looked at it in a while and it was fun to see all those great recipes again! We went to Timberline Lodge last Saturday and had their Swedish Cream with Berry Compote at the lunch buffet. It was delicious! I would like to make the recipe for a bridal shower this weekend. Do you have the recipe for the Swedish Cream? That happens to be in the cookbook! I’ve sent you a private message. Best wishes with the bridal shower!